Phillips Community College...Where Your Future Begins! Need financial help to attain your degree? Be sure to complete a FASFA application first, then check out the tuition discount programs offered at PCCUA! Who is Eligible? Every person who has graduated from an Arkansas high school, Arkansas homeschool or GED program, or anyone who has a high school diploma and has lived in Arkansas for the last three years. Students must enroll in a high demand or STEM program and complete the FAFSA. This is for students who have not already earned a bachelor degree or an associate degree. How do I apply? Complete the application on the Youniversal system. The scholarship will be awarded on a first-come, first-serve basis and will allow for part-time enrollment. Ever student must receive monthly mentoring, complete 15 hours of community service per semester, and maintain satisfactory academic progress. Once a student becomes a graduate, he/she must work in Arkansas for three (3) years. Deadline to apply is July 1. Arkansas or Phillips County high school graduates are eligible for the Great River Promise. 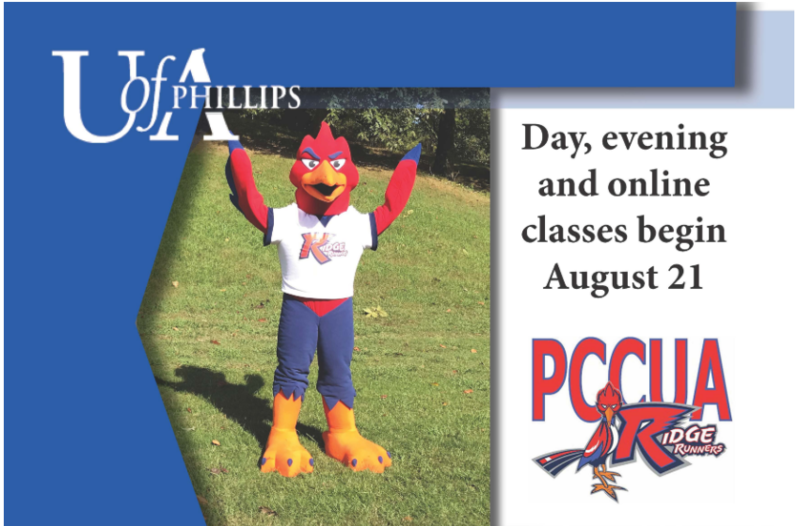 Students who meet the stated criteria will be able to attend Phillips Community College with college tuition and mandatory fees paid.